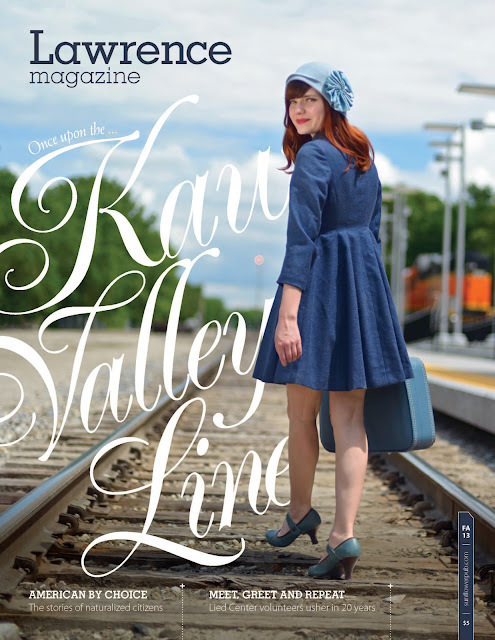 Earlier this summer, I had the pleasure of working with Lawrence Magazine on a story about an electric railway that used to connect Lawrence and Kansas City. I had the fun job of styling an outfit and modeling for the photo shoot. One of the shots made it onto the front cover of the fall edition, and it's now in circulation! Check out the full magazine here, or pick up a print copy if you get the chance. In other exciting news, I will also have a regular fashion column in future issues of the magazine!